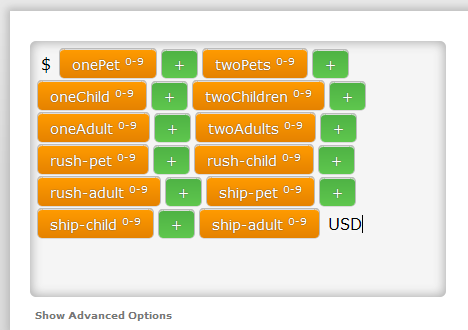 My rush order and shipping checkboxes are not working in the total calculation widget. I took a look at your jotform http://form.jotform.us/form/51748212737155 and I can confirm that it is not working, but as I made a check of your Form Calculation, I have seen that the checkboxes in question are not even included in it - which is why they are not being added. Now, there is just one thing to note and that is that your fields had underscore in their tag, which does not seem to be accepted by our form calculation at this time (for which I will raise this thread to our developers), but as soon as you change the field tag to use dash instead, it will work properly. Do let us know if there is anything else that we can assist you with.